Network lead Dr. Erin Michalak and network member Sara Lapsley will be co-presenting on digital engagement methods in patient-oriented research for the upcoming BC SUPPORT Unit provincial conference, Putting Patients First: Partnerships for Better Health Research (event hashtag: #PPF2017). 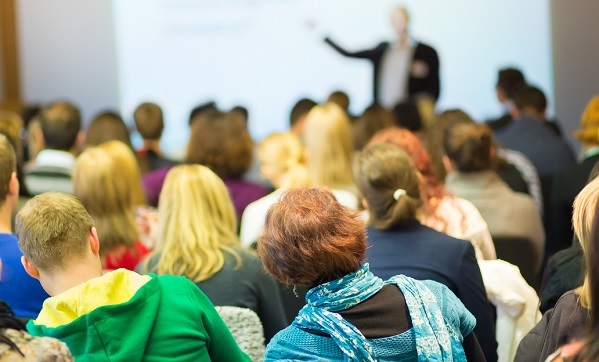 The conference aims to encourage learning and collaboration between patients interested in patient-oriented research (POR), health researchers, health care providers and health care decision makers. 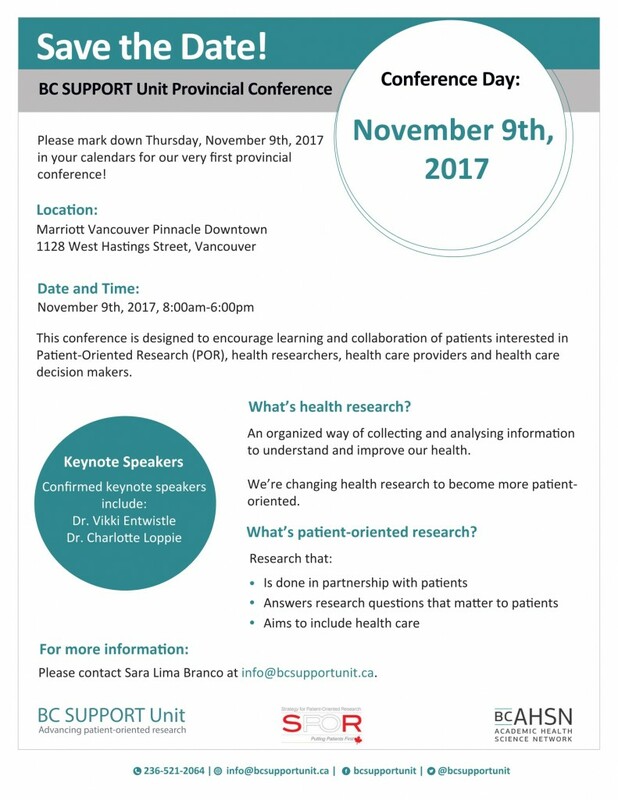 Putting Patients First: Partnerships for Better Health Research will be held on Thursday, 9th November at the Marriott Vancouver Pinnacle Downtown (1128 West Hastings Street), Vancouver, from 8:00am-6:00pm.